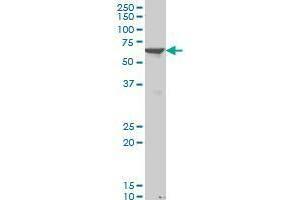 PAX8 monoclonal antibody (M03), clone 3B11. 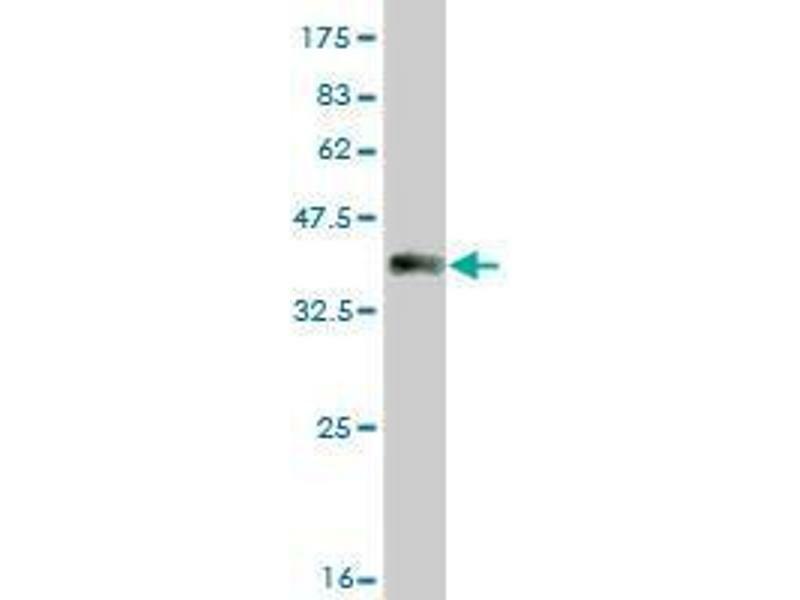 Western Blot analysis of PAX8 expression in RIN-m5F. 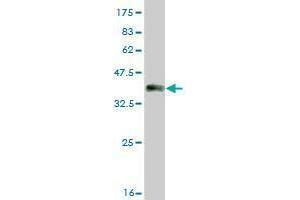 (60kD,Endocrinology Vol. 140, No. 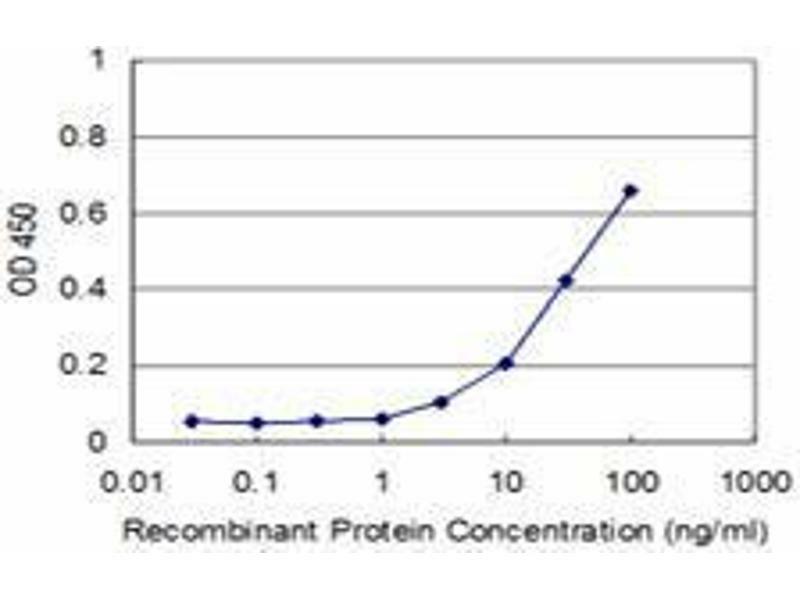 10 4651-4658,http://endo.endojournals.org/cgi/content/full/140/10/4651) Detection limit for recombinant GST tagged PAX8 is approximately 3 ng/mL as a capture antibody. 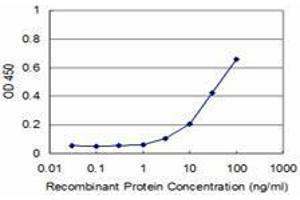 Detection limit for recombinant GST tagged PAX8 is approximately 3ng/ml as a capture antibody. 纯化方法 This antibody is purified through a protein G column, eluted with high and low pH buffers and neutralized immediately, followed by dialysis against PBS. Target/Specificity: PAX8 (NP_003457, 300 a.a. ~ 377 a.a) partial recombinant protein with GST tag. MW of the GST tag alone is 26 KDa. 缓冲液 Clear, colorless solution in phosphate buffered saline,  pH 7.2 .